Looking for irish history books? Biblio.co.nz hosts hundreds of of the finest online book stores and booksellers, including specialists in irish history. Use the list below to locate a specific specialist bookseller or book store near you. Or, use the form below to search the inventory of all booksellers who specialize in irish history. Coolim Books is an online store that specialises in books about Irish history, particularly those about West Cork. 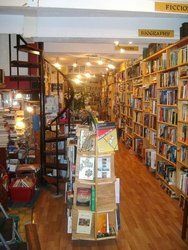 We are a family-run bookshop based in Co Clare in the West of Ireland. “Sc�al Eile” is an Irish language phrase, it translates as “Another Story”, and we certainly have plenty of stories! Our stock is an eclectic mix of second-hand and interesting good-value new books. We also love to support Local Authors, and stock many books of local interest. We are based in an area of such local colour and flare, that these titles make for some very interesting reading. Every member of our family is a bibliophile. We all read voraciously, and our mission is to make owning a beautiful, interesting book possible no matter what your budget or field of interest.